The Christmas Album Is Here! The physical CD will be available early next week, but you can order it now! 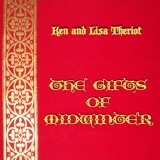 If you are planning to order the physical CD, do that FIRST here: http://www.ravenboymusic.com/the-gifts-of-midwinter-cd and you’ll be taken to a page where you can download the digital version (mp3s of all the songs, plus liner notes) immediately for no extra cost.